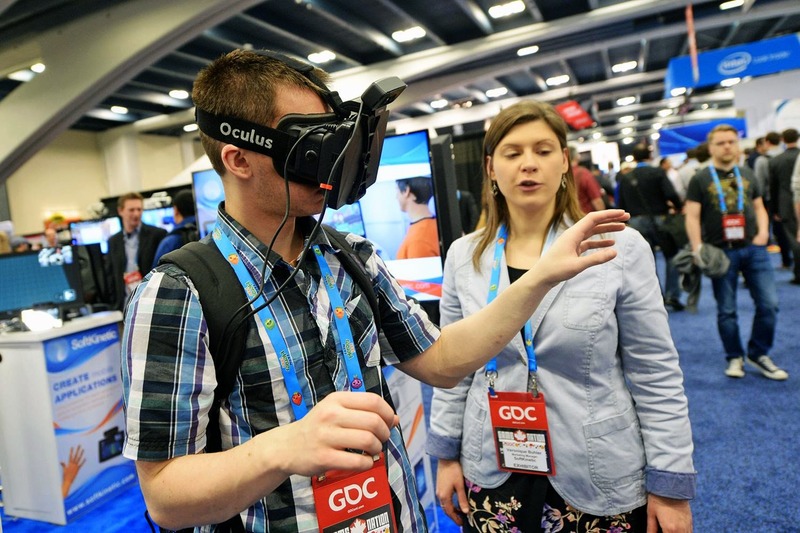 The Game Developers Conference was held last March in San Francisco. I went with a mission: to sniff out some stock tips for the only client of my consulting business (Hi Mom!). I reported back that only two things seemed hot: Head Mounted Displays and Mobile Ad Networks. For Head Mounted Displays (HMDs) the big player was a startup called Oculus VR, although Sony was also also demonstrating an HMD in their booth. Of course Sony also makes computers, phones, tablets, speakers, stereos, TVs, cameras, can openers and major motion pictures, so I didn't feel they were going “all in” on the technology, so I steered clear. Unfortunately for my client Oculus was a private company so there was no obvious way to invest in it. And since I had no idea which of the 400 competing mobile ad networks would win, I came home empty handed. However I was correct that Oculus was hot. I had deduced this myself based on careful analysis of subtle industry trends over the years, combined with my own expertise in computer graphics and VR. The fact that their booth was mobbed with throngs of heavy breathing game developers, TV crews and celebrities was also a clue. Sure enough on March 25, only 4 days after the conference ended, Zuck announced he had purchased Oculus for $2,000,000,000. The boos and jeers came mostly from the gaming crowd who have been dreaming of Virtual Reality for decades. They did not want to see their baby taken over by a social networking kingpin. One reason programmers dislike Facebook is that it's one of those “why didn't I think of that” ideas. Google was built on PageRank which is a relatively math-intensive concept that most people are fine admitting they would not have stumbled upon. The founding idea of Facebook, however, is that you have friends, and wouldn't it be nice to see updates from them from time to time. That's the whole idea. This disparity was carried forward in how the sites were implemented. 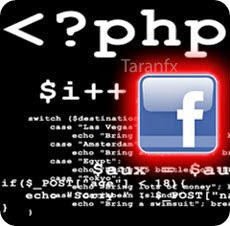 Facebook was hacked together with what is considered to be one of the worst programming languages out there, something called PHP. Google uses a number of languages including C++, which what the game programmers mostly use. C++ is not exactly loved either, but it's at least respected. Facebook's real downfall was that it deluded itself into thinking that the user experience is what matters, not the street cred of the technology behind it. Facebook put “people” and “the real world” ahead of technology. Facebook's reckless approach has turned it into a 160 billion dollar company, but it has not earned the respect of game developers. Right off the bat Zuck mentioned that he'd take Oculus beyond games. He painted the picture of friends who live far apart virtually enjoying court side seats at the big game. Gamers tend to hate spectator sports so they viewed this idea as a gross misuse of “their” technology. It was like buying a Ferrari convertible, but then filling it up with dirt and using it as a flower garden. Gamers want advances in computer graphics to be used how advances in computer graphics have always been used: to render fantasy women in ever increasing detail. In the mid-1990's I was working at UNC in Chapel Hill at the graphics lab. We had an HMD that reportedly cost $750,000. It contained 12 separate LCD panels and weighed at least 5 lbs. It looked and felt like something a fighter pilot would wear. In contrast Oculus's Rift prototype feels like a pair of very comfortable ski goggles. It weighs 13oz but seems lighter; it feels soft and snug on your face. It reminded me of really light dress slacks, the kind that make you wonder why does everyone consider jeans to be the most comfortable type of pants. When it debuts it is expected to cost under $300 which means you could buy 2,500 Rifts for the cost of that old UNC helmet. To illustrate just how chic the hardware is I found this picture of a fashion-challenged woman wearing the Rift. 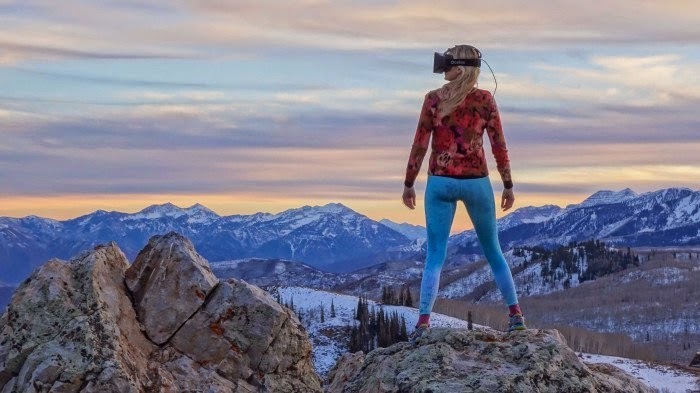 I gather the image is meant to convey what she is seeing in the HMD, because if she were really standing there with the Rift on she'd be one small step from plummeting to her death. One downside of the Rift, or at least the prototype, is that the effective resolution is only 640x800 per eye. It's like looking through a screen door or sticking your nose up to an old Trinitron TV, another Sony product. You could give each pixel a name if you had the time and a very good memory for names. 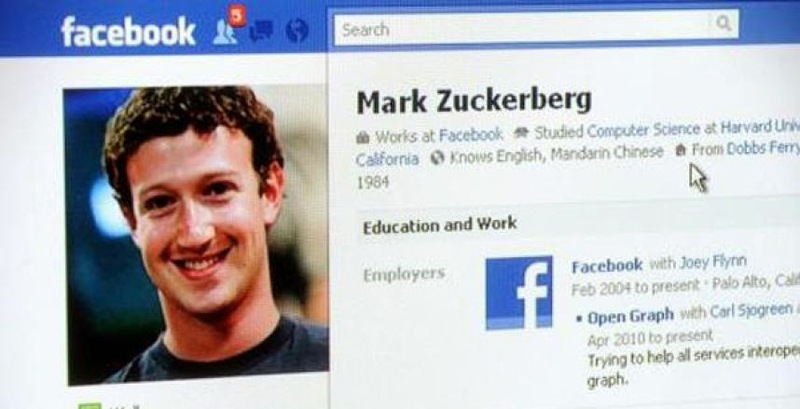 The low resolution makes me very much wonder why Zuck was compelled spend all of his lunch money on the company. 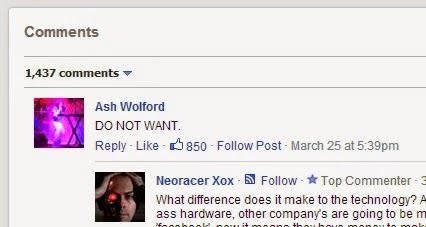 It turns out the reason to be excited about Oculus is its future. The low resolution problem will be swept away by cheap screens from the smartphone industry. Those billion or so smartphones a year also contain tiny inertial sensors which the HMD uses to track which way you are looking. 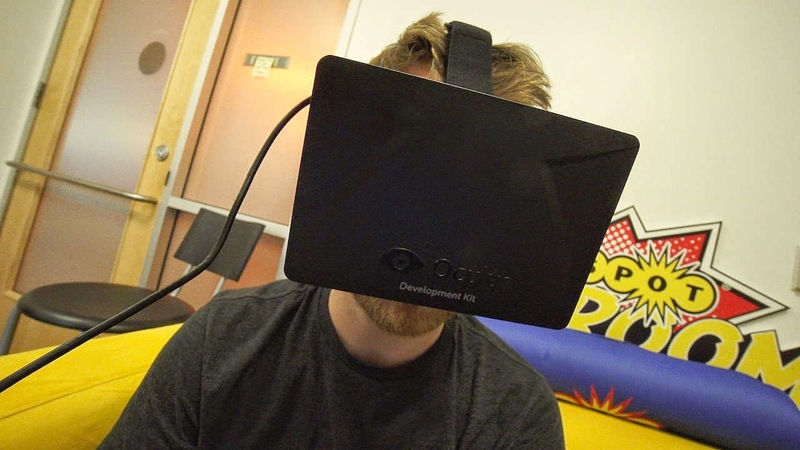 The initial pitch of Oculus is Virtual Reality (VR). With VR everything you see is computer generated. However this might be only the tip of the iceberg for this technology. There is a related approach called Augmented Reality (AR) which has far more potential. A recent article revealed Oculus is going to add a front facing camera. 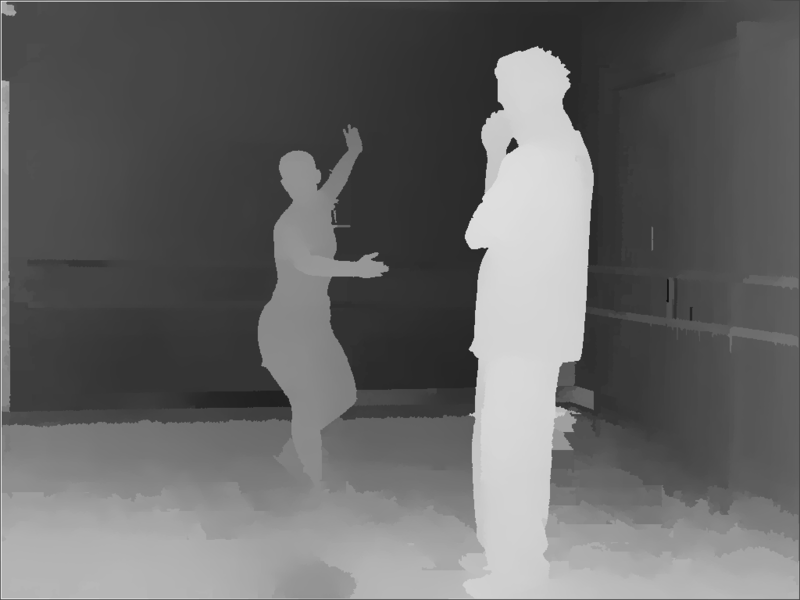 This camera would enable AR because the HMD could display the real world, as capture from the camera, but mix it with computer graphics. 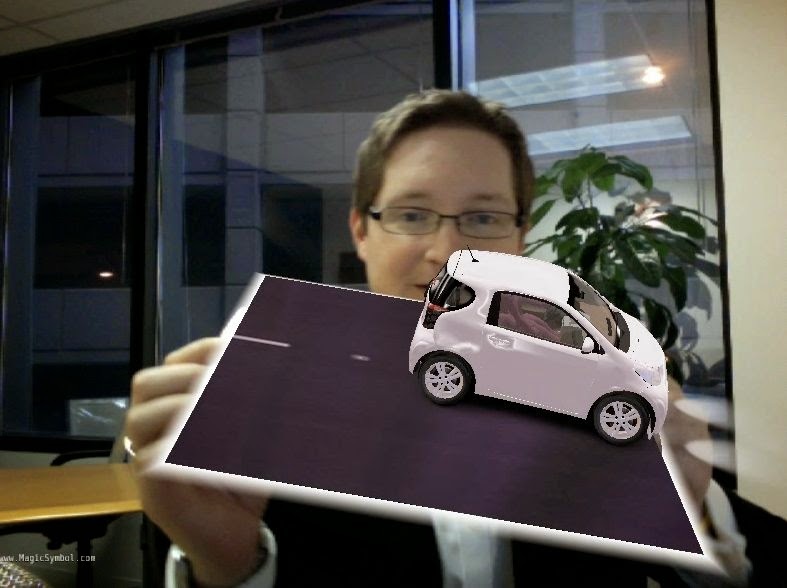 For example in reality this bespectacled man is holding up only a piece of blank cardboard, but the computer has inserted this computer generated car. As a still image it does not look very impressive, but in a video as he moves the board around the car appears to be perfect stuck to it, it's a neat effect. This demo gives you a glimpse of the true potential of AR. Instead of wasting your money on inexpensive plastic toy cars for your children, one day you will be able to buy expensive virtual toy cars which they cannot touch or feel. 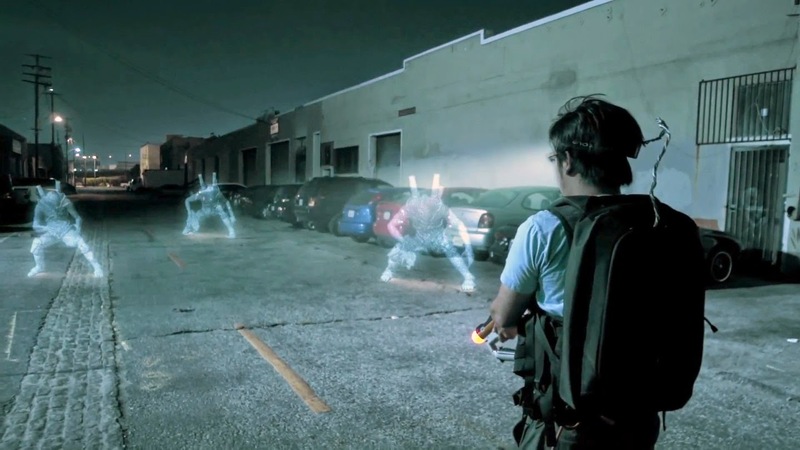 Augmented Reality is arguably harder to do than Virtual Reality. The “registration” between the virtual objects and the real world has to be nearly perfect. Any “jitter” or “swim” and it will look bad and very likely make you hurl. Depth is also a big issue. The car above is just drawn on top, but imagine a virtual character walking through a crowd of real people. You need to know the depth of every real person accurately so you can draw the virtual person correctly. Real objects must appear to obscure virtual objects. Here is an example of a “depth image” which is what you need, the distance in meters to every pixel in your camera image. The brighter colors are nearer to the camera. So we know the man picking his nose is closer than the woman dancing. Luckily the smartphones industry is tackling this problem as well. Google is working on making 3d maps with phones in order to guide people to specific products on shelves, among other uses. Google has also shown they can acquire depth from a single camera lens as long as you wave the camera around a bit. However if you have multiple cameras that helps. That is how we see depth, with our two eyes. The front face of the Rift is so massive you could fit a hundred cameras on there if there was a need for them. Google is also dabbling in AR with Glass which takes a see-through approach. That has advantages and disadvantages. Google's way is much more practical if you just want your graphics to float in front of you. The HMD approach is harder to pull off, but it's more powerful because it can control light completely, blocking it as well as adding to it. Either way the goal is is the same: take the excitement, noise and visual clutter of the computer screen and insert it into every peaceful moment of space and time which you currently enjoy. You'd think we'd have exhausted the possibilities by now, but the Rift has one more trick up its sleeve. If the image is high resolution and rock solid it could be used for normal desktop computing. 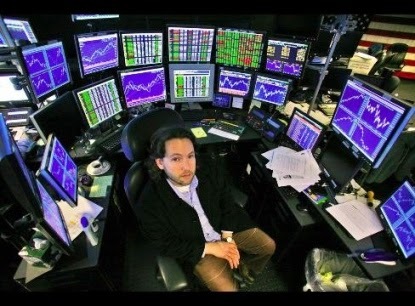 Instead of an array of heavy heat-spewing monitors you just wear the HMD. 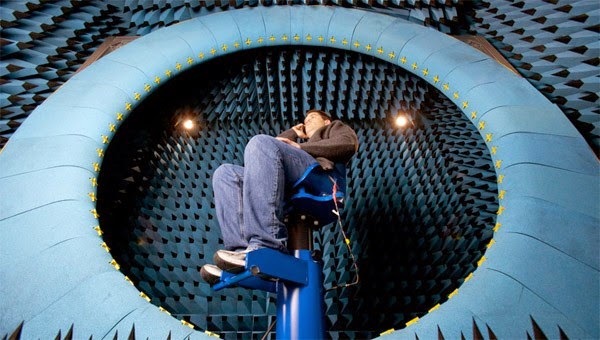 As you look around you would see virtual screens could be floating in space, curved all around you. It sounds sweaty to wear an HMD for hours at a time, but if there is a pay off we will put up with it. And if you get claustrophobic you could always hit a button and swap over to viewing something else. Imagine your “wallpaper” is the live image from a 360 degree camera which is hanging off a quadcopter which is orbiting your house. Maybe you are in a driverless car trying to get some work done on the way to the airport, but you want to watch the kids playing in the back yard as a break. Problem solved! Without screens laptops would certainly be a lot more compact. You would simply need the keyboard part and your HMD. On airplanes this would be very popular and convenient, to the the point where the airlines would probably squash the rows even closer together. There would be a special HMD channel where you could view what it would look like if you were in 1st class. If we could do without a keyboard then your phone could drive the HMD wirelessly, so there would be very little to carry. You'd have to rely on voice input, something the phone industry is working on heavily already. The cut throat competition between Siri, Cortana and Now has yielded speech recognition that today already works semi-reliably under perfect conditions. This is only going to improve. Voice however is no panacea because on airplanes we'd have a cacophony of people shouting: “Delete folder, not that folder... No undo. I mean yes undo! Undo! Undo!” as they triggered actions on each other's devices. The only way I see to get be productive without a keyboard would be a direct brain interface. They have these already to drive wheelchairs and even control other people, and in the future we might simply think what we want the computer to do and it will display the results on your HMD. However that might be a future anachronism. We spend a lot of time thinking about the future, but the combination of devices and technologies and trends we are picturing might simply never happen. Each invention we can imagine leads to developments we can't image. We don't know what is going happen. That is the fun part. If we can interface with the brain why not have the computer just insert imagery or thoughts directly into our minds? Why not get rid of the HMD? The Rift's future is bright but nothing lasts forever. I can almost see garage sale patrons rooting through boxes of Rifts: fifty cents each. Further in the future I can see other civilizations digging up the Rift, trying to figure out what it was. Sleep mask? Police restraint? Ski goggles for the blind?